Why Syrah Resources Stock (ASX SYR) Is A High Growth Stock To Buy | MF & Co.
Syrah Resources stock (ASX SYR) is an Australian-based industrial minerals and technology company. Having completed all major construction works by the end of 2017, Syrah is fully funded and well positioned to deliver strong performance in its Balama graphite project. Operating across internationally, Syrah is subject to various national and local laws and regulations relating to construction and exploration and mining activities. Syrah Resources is a top high growth stock to buy for 2019. Syrah Resources is dedicated to becoming the only major new supplier of graphite to battery market as China switches from an exporter to importer. With its current market capitalization of at 981m, SYR is a small-cap player within the industrial metals & minerals sector. Compared with other ASX and TSX listed graphite projects, Balama deposit has the largest defined graphite reserve globally (18.9 Mt at 9% Total Graphite Carbon cutoff). 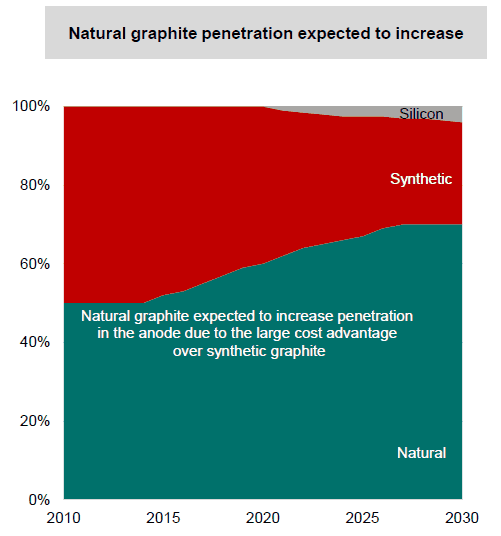 Balama is expected to produce 15 – 20% of global graphite in 2018, and 35 – 40% at full capacity. First graphite sales revenue was received in February 2018 and additional binding sales agreements were reached in 2017. With over 90% of employees at Balama being Mozambican nationals, SYR is committed to high standards of health, safety and environmental control. Ending 2017, Total Recordable Injury Frequency Rate (TRIFR) of 0.8 has dropped significantly from 2.5 at the end of 2016. Battery Anode Material (BAM) Project is SYR’s other graphite project designed to fuel advancements in anode technology for use in lithium-ion-based energy storage. Nevertheless, the Balama Project is in a relatively remote location and logistics poses a range of risks. 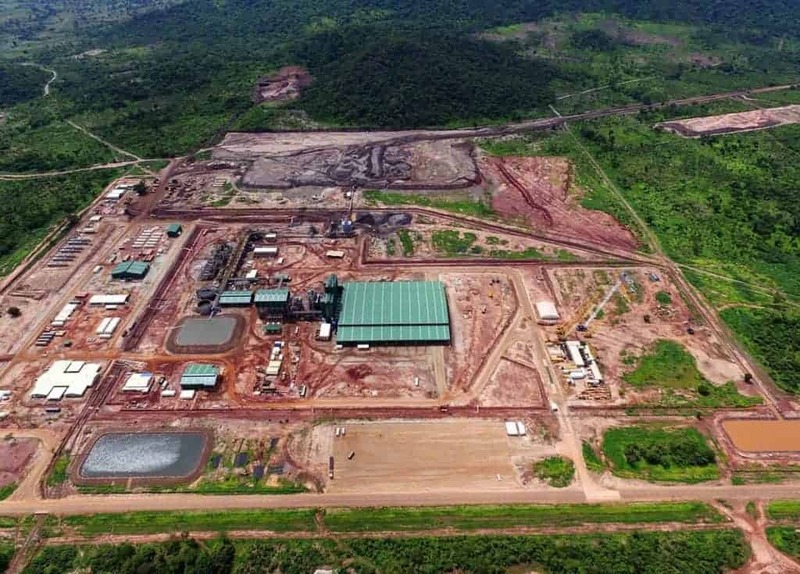 It is also worth mentioning that SYR’s business is heavily reliant on graphite and it is currently operating only Balama Project and Battery Anode Material Project. Since its listing in 2007, the stock’s performance has been far from satisfying and remained flat for almost 4 years. One of Syrah Resources current objectives is to be a major graphite provider, as China’s demand profile and declining domestic graphite resources mean a structural change to the rest of the world. Due to cost pressure and environmental regulations, China is relying more on resources import. 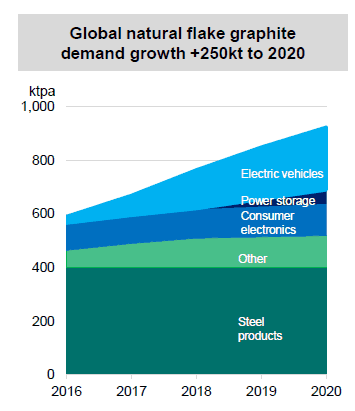 It is estimated that China’s domestic supply of natural flake graphite will decline by 20% to merely 400 Ktpa by the year 2020. This is a great opportunity for Syrah Resources to fill the gap, and tap into the EV battery anode market. Natural graphite anode is more advantageous than synthetic graphite anode in that it is 40%-50% cheaper and more energy efficient. With that being said, Syrah Resources is exposed to a number of potential risks, such as market risks, sovereign risks, and regulatory risks. At present, there is no transparent market for graphite and prices are negotiated based on a variety of factors including the preferences and requirements of customers. Being a global player, the company could be adversely affected by government policies in Mozambique or other jurisdictions in which it has assets, business and operational activities, relationships and investment interests (including Australia, the United States of America and the United Arab Emirates). EPS of ASX SYR shares stands at -0.058 per share, which could be attributed to its weak performance before engaging in the graphite business. Compared with its metals and materials peers with similar market caps, Alacer Gold (ASX AQG) has a current EPS of 0.359 AUD, Western Areas (ASX WSA) 0.359 AUD. Up until the end of year 2017, ASX SYR shares profit margin was negative. Profit margin of its peers is Alacer Gold is 38.98% while that of Western Areas is 10.31%. ASX SYR shares at the present has a negative ROE, at -3.5%. Alacer Gold and Western Areas perform much better with ROE at 12.63% and 4.86% respectively. In terms of Price to Book Ratio, Syrah Resources stock has an elevated valuation at 2.43 compared to Alacer Gold P/B at 1.05 and Western Areas at 1.86. Syrah Resources stock financial performance has been weak, however, the stock is currently being priced on its growth potential and it remains to be seen whether the two new projects could justify the company’s higher valuation on poor financial performance. The expectation from analysts is that Syrah Resources stock is on the verge of breakeven. Balama Project and BAM Project will support SYR’s future growth and help it take a strong market share in the growing graphite market led by EV. Playing in a global market, Syrah Resources is also exposed to all sorts of risks, such as political risks, regulatory risks, and financial risks. Considering its poor financial performance in the past, Syrah Resources shares is a potentially high growth, but high-risk speculative stock to buy.